Every Geraldton home needs practical and adaptable storage. 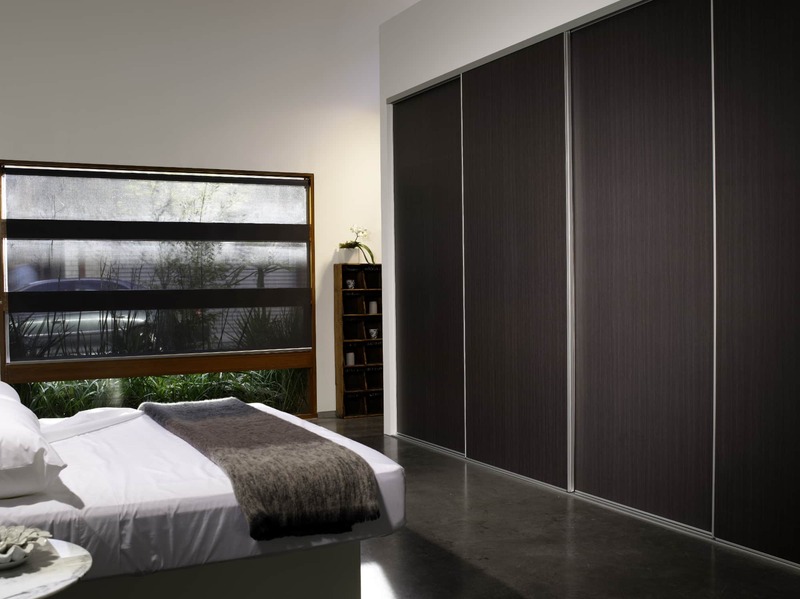 Built in sliding wardrobe doors come in a great range of finishes. Talk to S & J Glass about your needs to day. S & J Glass make framed sliding wardrobes in our Geraldton factory. We can make the door widths and number of panels required for the internal storage setup you are looking to achieve. Our wardrobes include full length handles incorporated into the frame. A massive number of board infill options from Polytech and Laminex. Subsitiute boards for mirror infill panels. White coat is 4mm glass with a vinyl back for an off white colour. White vinyl back utilises low iron glass for a super crisp white. Frame colour options include white, black, chrome, matt natural and gold. Other colours are available upon request as a special order. Glass or mirror semi-frameless wardrobes with a fine boarder and polished outer edge for a seamless look.